In the UK, the key market, Australia is now the largest supplier of still wines, having overtaken France in 2006. In June 2007, Australia was the 4th largest wine exporter in the world, after France, Italy and Spain, with an average of 2.5 million bottles a day being sold, worth about $2.8 billion dollars a year to the economy, and growing at about 9% per annum. Of this, $2 billion is accounted for by North America and the UK. In this key latter market, Australia is now the largest supplier of still wines, having overtaken France in 2006. Wine is now Australia’s third most valuable agricultural export after meat and wheat. But there is a glut; capacity worldwide has exceeded demand for 2 years, and while physical exports have continued to grow strongly, exports by value have failed to keep the pace due to pressure on prices. The continued drought in the 2006/2007 growing season has alleviated the grape oversupply, with the 2007 harvest the lowest since 2000, and 35% down on 2006. The North American market is intriguing – wine drinking is in its infancy there, and Australian wine competes with an actively-marketed and growing domestic production for the small proportion of the market place that actually drinks wine. According to the US Department of Commerce, Italy is Australia's biggest foreign competitor in the US market, and each brings in over 200m bottles a year. France is next with 97m bottles. France's imports by value however, still grow strongly, whereas Italy's are flat, indicating a move toward quality by increasingly sophisticated consumers. The Australian Wine and Brandy Corporation is both regulator and facilitator. They are backed up by the Australian Trade Commission who are extremely active and effective overseas (at least in comparison to other nations’ diplomatic trade representatives). Together they have an exemplary focus. 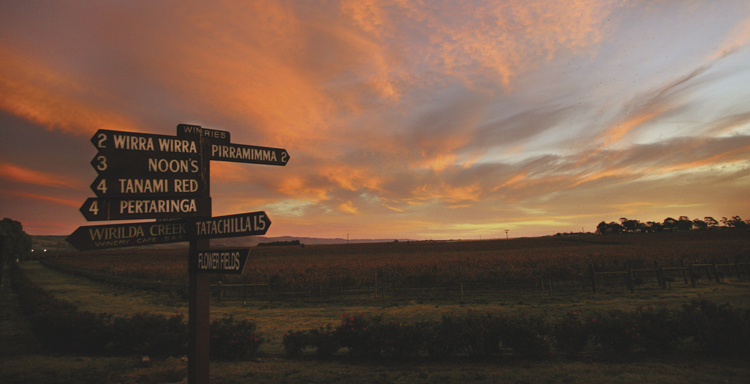 Within Australia the AWBC operates alongside 2 statutory bodies responsible for funding and conducting research and two representative industry bodies, the Winemakers’ Federation of Australia and the Wine Grape Growers of Australia. The Winemakers’ Federation gives each member the same vote whether they are small estates or large corporations, and its website makes clear its noisy democracy. They are the advocates of the industry and take on issues the AWBC can't - like heading off proposed taxation increases or tackling over-regulation of advertising and promotion. They have a role in training their members in business and oenological skills and promoting wine tourism and research and development. Sheralee Davies at the WFA made it clear that the WFA and the AWBC work closely together. "We are all working to the same end", she said. Eric Wisgard at the AWBC confirmed this "We get on very well together, and have just completed 18 months of work together on a new marketing initiative". This initiative will encourage consumers to trade up by improving their understanding and appreciation of the range and quality of Australian wine. The UK market will be developed by differentiating the Wine Australia brand into Brand Champions: the popular brands like Yellowtail or Jacob's Creek; Regional Heroes – wines with a sense of place, linked to a particular style or variety or grape, say Penfold's Shiraz; then Generation Next - product or packaging innovation, new styles or varieties; lastly Landmark Australia, the ultra-premium legends - Henschke's Hill of Grace, or Penfold's Grange Hermitage, both of which fetch prices as high as the best First Growths from Bordeaux. Sheralee Davies of the WFA, when asked how this differentiation sat with her members, said "A winemaker could well have wines in all four categories, or in only one". The strategy isn’t about losing sales of the popular brands to the premium wine offer, but about increasing sales of the higher quality wines while maintaining sales across the board. They are firmly eyeing the restaurant market, where there is still much ground to make up against the French, Italians and recently the Californians. All too often the celebratory dinner out is accompanied by a more expensive and inferior French wine rather than a premium Australian wine, and the Australian wine industry means to change all that.